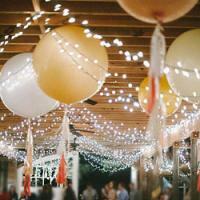 How to Decorate Your Wedding Venue? The obvious choice for wedding venue decorations is flowers. The sheer variety of colours, size, shape and style means that a floral display can be tailored pretty much to your exact requirements. 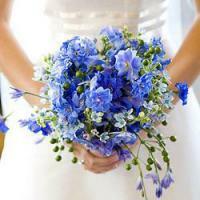 Flowers can flank the aisle for the ceremony and delight the guests as they pass the entrance. At the reception, flowers look wonderful on the tables and tied to the backs of chairs. Use flowers to create charming favours too, or to adorn the wedding cake. Country weddings, and those with a more intimate feel can often benefit hugely from a rustic feel to the venue decorations. Hay bales, floral garlands and abundant fruits of the season really set the scene for a relaxed, rural vibe. If they are available, branches of hops add both visual beauty and a heady, welcoming aroma, while hearts fashioned out of willow, straw or raffia provide the perfect finishing touch to any room. On the other side of the coin, urban elegance can make a wedding venue look sharp, cool and cutting edge. For couples who prefer the clean lines of city living, tall glass vases, metal sculptures, designer crockery and cutlery and sparkling glasses will look amazing when positioned on crisp white tablecloths. 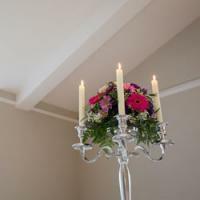 Beautiful ribbons draped above the entrance to the ceremony space add class, as does a beautifully lit reception room. Whether or not your wedding includes children, everyone loves a bit of colour and fun, so what better way to provide that than with masses of balloons? You can create show-stopping balloon arches at the entrance to a room and add smaller creations to the reception tables. How about balloon models shaped into your favourite pets or flowers? 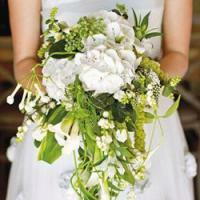 Could you add some smaller balloons to the bridal bouquet? Finally, a wedding that genuinely reflects the tastes of the couple will be one that is remembered for a long time. 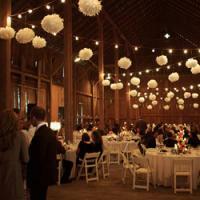 Try to incorporate some of your hobbies, interests and likes into the wedding décor. For example, a keen seamstress could have yards of pretty bunting draped across the walls, while sports fans could use memorabilia to decorate the tables or inspire the wedding cake topper. Instead of labelling tables with numbers or letters to help guests navigate the table plan, choose terms that apply to your life so far, such as places you have lived or favourite drinks or desserts.